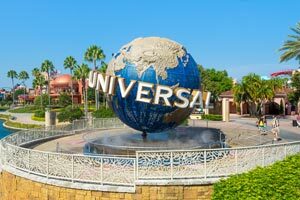 Centrally located in Orlando, Baymont by Wyndham Orlando Universal Blvd is within a 15-minute walk of Pirate's Dinner Adventure and Universal’s Volcano Bay™. This family-friendly hotel is 0.9 mi (1.5 km) from ICON Orlando and 1.2 mi (1.9 km) from Congo River Golf - Orlando I-Drive. Make yourself at home in one of the 334 air-conditioned rooms featuring refrigerators. Complimentary wireless Internet access keeps you connected, and cable programming is available for your entertainment. Private bathrooms have complimentary toiletries and hair dryers. Conveniences include phones, as well as safes and desks. Take advantage of recreation opportunities including an outdoor pool and a 24-hour fitness center. This hotel also features complimentary wireless Internet access, concierge services, and an arcade/game room. Spending a day of fun is easy with the complimentary theme park shuttle. A complimentary hot/cold buffet breakfast is served daily from 7 AM to 10 AM. Featured amenities include a business center, a 24-hour front desk, and multilingual staff. Planning an event in Orlando? This hotel has facilities measuring 1000 square feet (93 square meters), including conference space. Free self parking is available onsite. The preferred airport for Baymont by Wyndham Orlando Universal Blvd is Orlando, FL (MCO-Orlando Intl.). Close to Universal Studios and attractions on the famous I-Drive. Tip: I-Ride trolley is a convenient way to get around I-Drive. Distance: 15 miles to airport. 9 miles to Disney.